Keeping Energized All Day Long - Welcome to SarahKesseli.com! It is very common for me to hear a client say that their energy is low. But this ‘energy’ is not always just physical. Many times it is mental, emotional or even spiritual. Awhile back I wrote an article about “Why Food Is More Than Just What Is On Your Plate”. In the article I discussed how keeping your mental, emotional, spiritual and physical health fed will make your life more fulfilling. As a follow up to that article, today we are going to talk about a few ways in which you can keep these areas ENERGIZED ALL DAY! Get Plenty Of Sleep. Even short changing your sleep by 30 minutes can have an impact. Eat Nutrient Dense Foods, often. Keep energy levels up by making sure to eat something small every few hours. Exercise using Intervals. Short bursts of activity will stimulate both your overall energy and make you strong. Breath and enjoy the moment. Lack of oxygen to the brain can make us feel tired. Drink Plenty Of Water. If you are dehydrated your energy levels will decrease. Change Tasks for a moment. Step away from whatever is making you tired and try another activity for a few minutes, i.e Move from the computer to folding some laundry. Take A Break. A vacation, even for a few days, will help create a huge boost in performance! Surround yourself with people who are loving, positive and supportive. Ditch the folks who complain, criticize and bring you down. Talk It Out. Holding onto negative thoughts can deplete you. Find someone to talk to, cry it out or just veg with a movie. Whatever works for you! Stay Positive. Negative emotions will bring you down. Find ways to keep your spirits up via a gratitude list, daily affirmation, etc. Live What You Value. Make sure your actions are in line with your values, morals and beliefs. If not, make a list of how you can match them up. Create A Daily Ritual. Either by going to a religious ceremony weekly, saying a prayer before dinner or bed. Know Your Purpose. Understand why you are here and what you are here to do. This will make all the difference in the world! By incorporating some or all of these tips, you will find that the area in which you are feeling less than energized is soon full of life! When all of your primary foods are in line and energized, your life will feel much more satisfying! If you are struggling in any of these areas, please head HERE to request a consultation with me. Together we will be able to gain the energy and life that you need to feeling 100% fulfilled! *How do you keep your energy levels up? 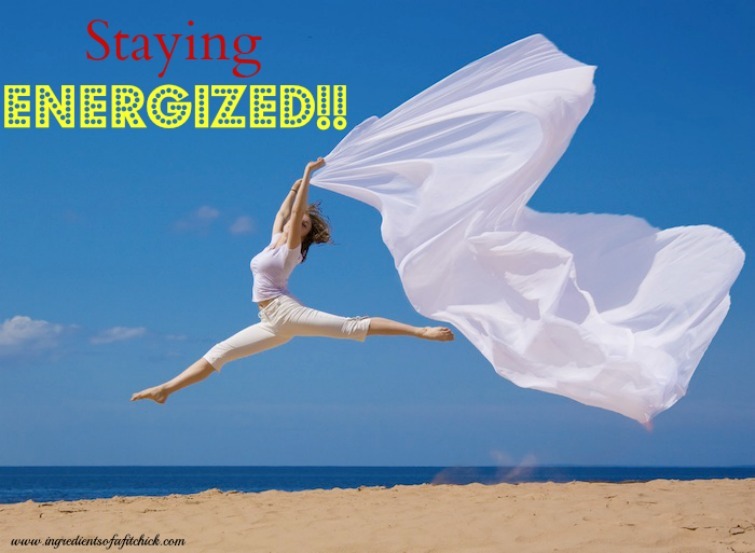 *Is there one area of your life more energized than another? *What area do you feel needs more energy?